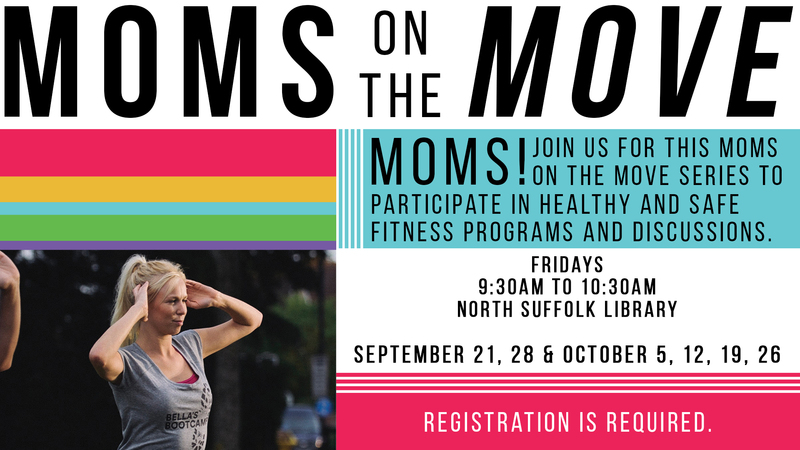 Moms will participate in healthy and safe fitness programs and receive information from area experts on a variety of topics from healthy eating habits for the family to implementing early literacy skills. Dress comfortably. Baby wearing welcome. A medical release form is required from any mom under 12 weeks partum.